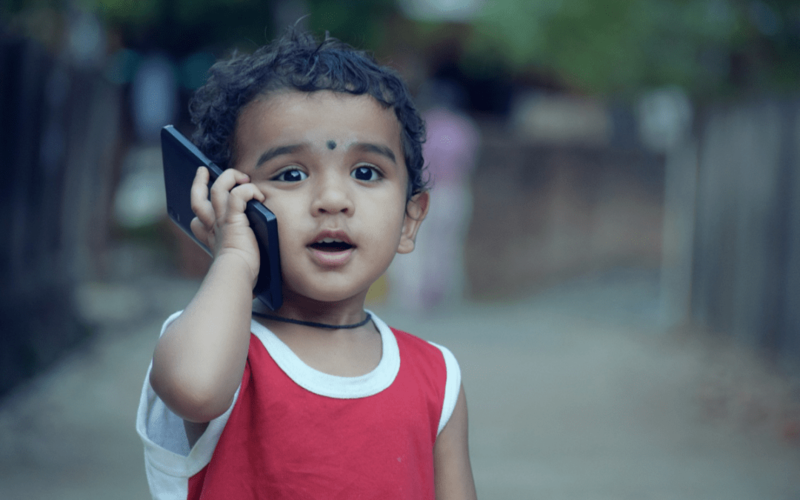 What’s the cheapest way to call India from the US? This has been asked over and over again in countless online forums. It is to be expected though considering there are around 4.4 million Indo-Americans in the US. Actually, the cheapest way may vary from person to person. It depends on the purpose and frequency of the call and who you’re calling. So to give a singular sweeping answer to that question is just not possible. Each method of placing a call to India has its own advantage and disadvantages. If you read through the various online forums, different people have differing opinions. Some will say their way is cheaper and others will swear that theirs is the way to go. So which method is cheapest for you? Read on to find out. When we hear the term “unlimited”, particularly when buying something, it conjures up an image of getting more than our money’s worth. Sky’s the limit. No holds barred. Lots of phone companies are now offering unlimited postpaid plans to their subscribers. Why do you think is that? Simple, it sells. People are craving for it. Also, who could resist such an offer? Unlimited plan packages usually consist of unlimited voice calls and unlimited SMS. Other pricier options would include unlimited or capped mobile data. All this for a fixed monthly fee. There are a lot of advantages in using unlimited phone plans. The most significant of which is never having to worry about running out of mobile credits. This comes in very handy during emergency or unforeseen situations. It also relieves you the headache of racking up phone bills at the end of the month. Paying for a phone plan is also relatively easy nowadays. Cashless payment options are now the trend. Most companies also has an auto-debit arrangements with banks. So you don’t have to worry about getting disconnected when you fail to keep tab of due dates. In the US, unlimited phone plans range from $10 to $70 depending on the inclusions. MyLine, an emerging international call service provider, offers unlimited plans starting at $2. It’s also renewable from time to time so you won’t get tied to a contract. This is is by far one of the most affordable offers on the market. If you need to call India on a regular basis, you’ll definitely get your money’s worth with an unlimited plan. But if your calls are few and far between, you might be spending a whole lot more than what you should. Prepaid phone cards came into being in Italy in 1975. Since then it became the go-to cheaper alternative for landline and home phones. The process is pretty basic. You buy a card, you get a Personal Indentity Number (PIN) and a toll-free access number. Then you dial the access number and enter the PIN. Once you’re connected, a voice over will tell you how many minutes you’ve got. After that, you can dial the number of the person you intend to call. You don’t have to consume the minutes in one go. Only the minutes you used are deducted. The rest can be used in subsequent calls. One good thing about using a prepaid card is that talk time is capped. Why is that good, you may ask? Well, for a start, it helps you to stay within your budget. Since it is prepaid, the call gets disconnected once your credit runs out. So you only spend what you can afford. international calling services. Rates range from around $0.3 to $1.9 per minute. It can also be useful in public telephone booths. This can come in really handy when you ran out of phone battery or is in trouble a long way from home. This works best for those who only need to make a call to India on occasions. You might be familiar with Skype, WhatsApp, Viber and Messenger. These are apps designed for talking to people over the internet. If you ever own a smartphone, chances are you have one or all these downloaded in it. Phone applications or “apps” are often free and quite convenient to download in app stores. Wait, free? Yes, pretty much but there’s a catch. Quite several, actually. Most apps don’t support calls to mobile and landline numbers. Skype does but for a hefty charge. Since they use the internet to transmit calls, it needs both parties to be connected to the internet. Not only that, both should also have signed up for an account in their platform. You can’t call someone on Viber if they don’t have a Viber account. Same goes for all the others. Conclusion? Calling apps are great. It’s free and convenient but rather useless when there’s no nearby wifi. At the beginning of this post, its mentioned that there is no one conclusive answer on what’s the cheapest way of calling India. But, one international calling service came close. MyLine, as mentioned earlier, offers unlimited call plans to India for as low as $2. A rate that is way cheaper than most in the market. They likewise offer an extremely low per minute charge of $0.011 for regular calls to India. Their call plans also feature free SMS to mobiles. Aside from India, they also offer cheap international calls around the globe. To make it more awesome, they have a free app you can download for both Android and iOS devices. Since the calls go directly to the mobile or landline number, the person at the other end of the line needs no internet connection. This is definitely the ultimate choice if you want to save tons of cash in international calls. But you don’t have to take my word for it. Go and try it for yourself.